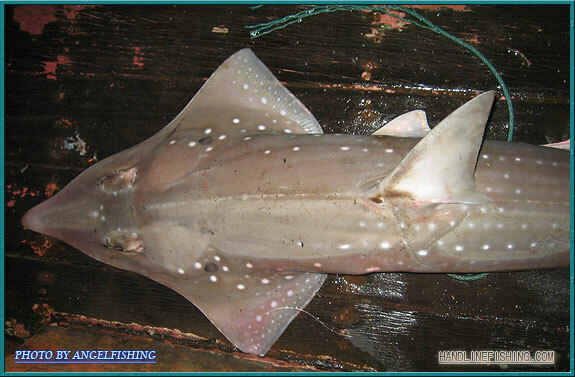 it's longish body certainly does make it look like a shark but they actually are from the same family as stingrays. The bottom is flat like rays too. I hope to get one of these monsters someday. I THOUGH IT WAS CROSS BLEED FROM S/RAY WITH SHARK. 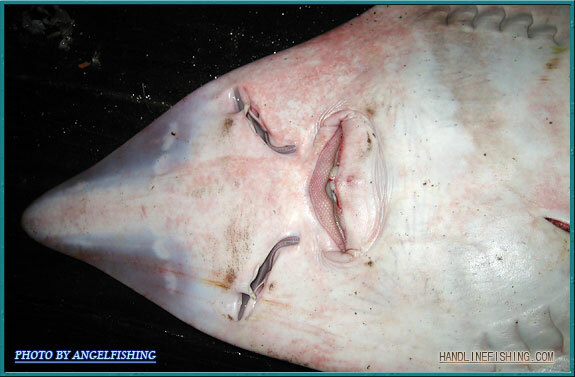 TIS FISH DON HAVE SHARK TEETHS LIKE THOSE OTHER SHARK? LOOK MORE LIKE S/RAY TO ME. 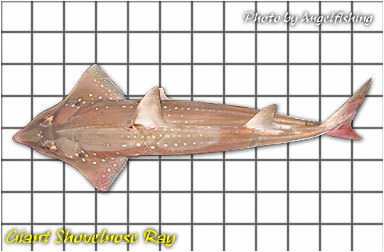 This should be a pic of a male shovelnose good shots! quite sisnter looking ray lol. there was actually a urban legend behind tis ray within the muslim/malay community. Streetmonkey wrote: quite sisnter looking ray lol. there was actually a urban legend behind tis ray within the muslim/malay community. legend has it, there was a very bad temper ger ( she is a muslim by the way). During one of the tantrum, she kicked a Quran ( the holy bible) and censure those who were reading it, (while in the mosque). 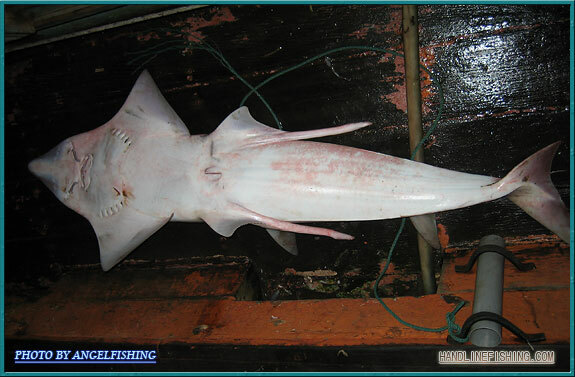 Den something happen, she was turned into The creature ( the underside of the shovelnose ray) and she was cursed for the ret of her life . something liek tat. tis was the clip that was show to me n uploaded by someone esle. turn up the volume for max effect. this is the story which i heard. yes very far streched in our science contact. I'm confused! Is this a freshy or a salty fish? I have seen this fish in fresh waters before. 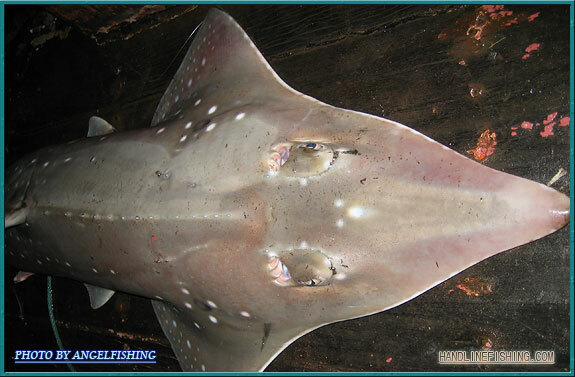 There are several species of shovelnose ray and some of them do indeed live in freshwater. So is this one a salty of freshy? It's primarily a saltwater fish but breeds close to shore or estuaries with brackish water. But there are also reports that it can stay in freshwater too.